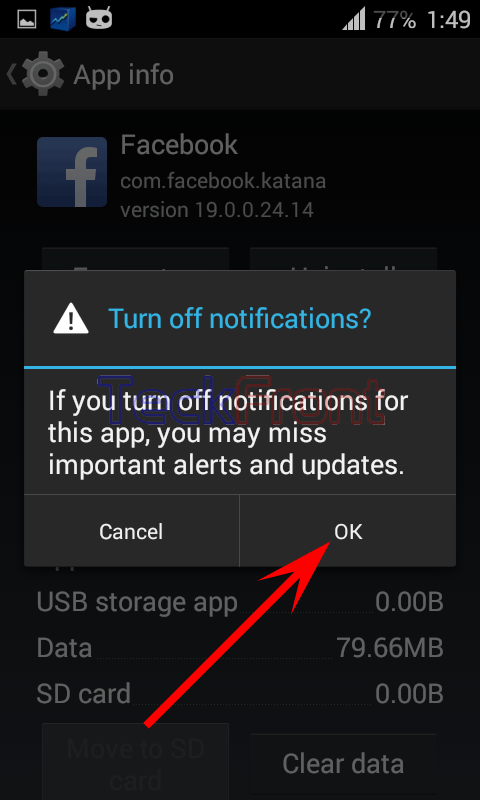 How to Disable Facebook Notifications in Android 4.4.4 KitKat Device? When apps are set to show notifications about the activities, alerts and updates, it may be annoying for some people. For example, Facebook app sends regular notifications about all the activities in Facebook which may be liked by some users but some of the Android users may not like the time to time disturbances of these notifications. You may disable Facebook notifications easily. To do, follow the instructions. Command Line: Settings > Apps – Device > Apps – DOWNLOADED: Facebook. 2: Scroll down to the ‘Facebook’ or any other app, the notifications of which you want to disable. 3: Tap ‘Facebook’ to open its ‘Apps info’. 4: At the ‘App info’, see the ‘Show notifications’ is checked and enabled. 5: Tap the ‘Show notifications’ to uncheck it. It will open up a prompt. 6: The Android will display a warning message for you, ‘If you turn off notifications for this app, you may miss important alerts and updates’. 7: Tap ‘OK’ to turn off notifications. Now, you will not receive the alerts and updates about ‘Facebook’ or any other app, you selected. 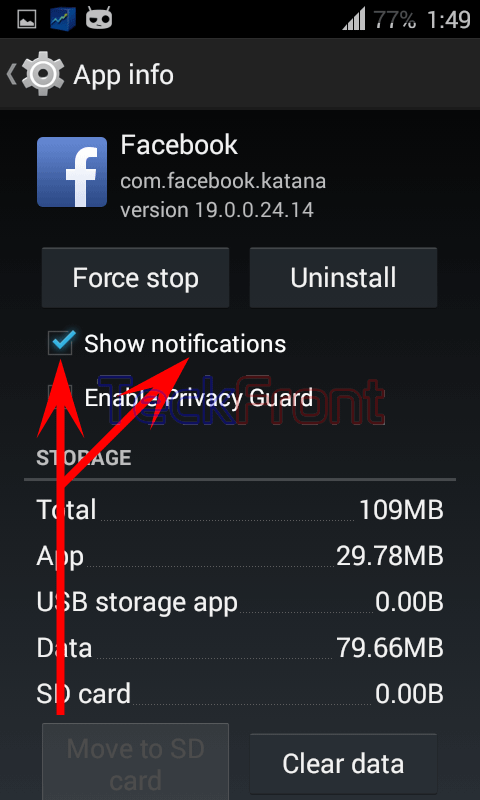 Newer How to Restrict Background Data in Android 4.4.4 KitKat Device? 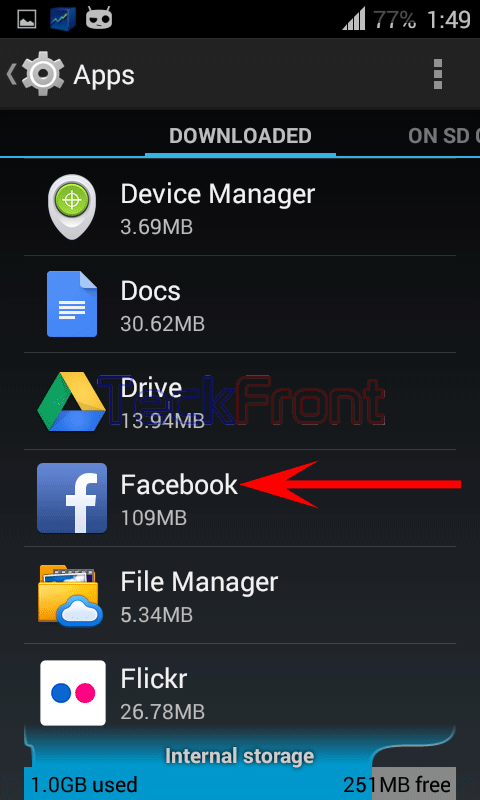 Older How to Clear Data on Downloaded Apps of the Android 4.4.4 KitKat Device?